Etusivu Artikkelit Conflict Between Freedom of Expression And Trademark – Reality Or Fiction? Conflict Between Freedom of Expression And Trademark – Reality Or Fiction? There is an ongoing reform of EU trademark law. 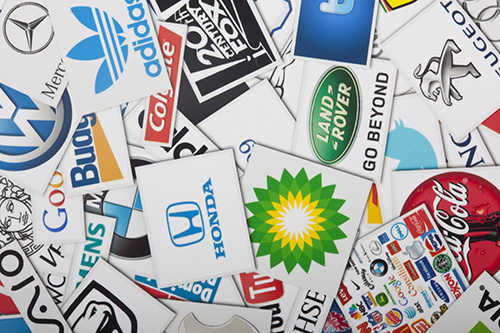 This article briefly examines the relationship between trademark law and freedom of expression. This article is based on the author’s presentation in the seminar “The Future of Trademark in EU” organized by the IPR University Center in Helsinki, Nov. 27, 2014. The key note speaker was Dr Annette Kur under the title “The Future of Trade Marks in the EU – The Trade Mark Reform Package”. There is an ongoing reform of EU trademark law. In 2013, the Commission adopted proposals to renew the Trademark Directive 2008/95/EC (TMD) and Regulation EC No. 207/2009. The aim is to modernize and clarify legislation as well as to render the system more uniform and efficient for traders. Following the Lisbon Treaty, terminology and legal bases are updated. Similarly, ‘Community trademarks’ will become ‘European trademarks’. Underpinning the reform, a Max Planck Study on the European trademark system (MPI Study) was conducted and published in 2011. Moreover, a recommendation on safeguarding free speech and competition in EU trademark law was signed by scholars. The recommendation calls for “balance”, in particular as technological, economic, and social changes are taking place. This article briefly examines the relationship between trademark law and freedom of expression. Some uncertainties remain with regard to the EU reform. Firstly, the essential function of trademark relates to indicating origin. It is to enable goods and services to be distinguished. Alongside this trademark functions as a “guarantee” of quality and it has been allotted functions related to symbolizing, investment, advertising, and competition while some of these intertwine with the communication function. The importance of branding and the value of the mark per se are best seen in dilution protection for famous marks. Secondly, a trademark may consist of “any signs capable of being represented graphically”. The reform introduces flexibility in representing the subject of protection. Nevertheless, largely along the lines of other criteria laid down in Sieckmann (C-273/00), the representation must enable determination of what exactly is covered. Thus, a much widened scope of protection is not foreseeable, as pointed out by Dr Kur in her presentation (see also Hernandez-Marti Perez 2014). Thirdly, the requirements for registration signify limits on the scope of trademark protection. Registration may be refused on the basis of absolute and relative grounds. Signs not fit for trademarks or marks lacking distinctiveness, contrary to public policy, or misleading the public cannot be registered or registration is to be declared invalid. The same applies to marks that conflict with earlier rights, such as other marks, right to name, or copyright. Exclusive rights of a trademark holder may however also be acquired without registration by establishment, apart from Community trademark. Fourthly, exclusive rights are limited in character. The trademark holder may prohibit others from using in business a sign identical for identical goods or services or a sign confusingly similar, including likelihood of association. If the mark is one with reputation the competence extends also to dissimilar commodities; in this the reform supports the findings in Davidoff (C-292/00) despite critique (cf. Pihlajarinne 2009). Regarding other limits, registration must be renewed and the trademark must be used. Explicit limitations exist to enable use of names and addresses in business while e.g., indications of origin, quality, quantity, and purpose, cannot be prohibited (Art. 6 TMD). Indeed, following the critique attracted by Budweiser (C-245/02) (Kur 2004), the reform acknowledges only personal names, not trade names in this regard. All these basic elements of trademark law, together with exhaustion (Art. 7 TMD), among others, impose limits to the scope and effects of trademarks (cf. Weckström 2006). These elements are resorted to in defining what can be registered and what is covered by the exclusive rights conferred by trademarks. A good topical example of refusal to register signs is provided by a judgment of the Supreme Administrative Court Finland (KHO 2012:64) concerning registration of smileys. According to the Court, smileys were typographical symbols for emotions with no direct equivalent in ordinary language and comparable to descriptive expressions, such as praise. The criteria for registration were not fulfilled. Due to their environment of use it was important to safeguard free use in the field of electronic communications. CJEU case law on trademark use and functions is anything but clear. Arsenal (C-206/01) concerned “unofficial merchandising” in football. The Court was of the opinion that the use was able to endanger the guarantee for origin even if the sign was used as a badge of support or loyalty (cf. Adam Opel). However, Arsenal also notes that the trademark holder may not prohibit use that cannot affect the holder’s interests having regard to its functions. Such uses include descriptive and informative use. More topically, Interflora (C-323/09) concerned keywords corresponding to another’s famous trademark purchased in Google AdWords service. The Court concluded, with detailed elaboration, that with double identity the trademark holder may prevent use if it adversely affects one of the functions of trademark. Advertising with keywords which free-rides on or dilutes famous marks may also be prohibited (cf. L´Oreal). However, Interflora refers to lawfulness of advertising with identical keywords of alternatives in fair competition. Pihlajarinne (2009) aptly notes that the focus in the CJEU’s practice has shifted from use to consequences of use. The relation of human or fundamental rights to trademark law might be simplified so as to refer to the hierarchy of norms. Constitutional rights are thereby declared superior to trademark law. 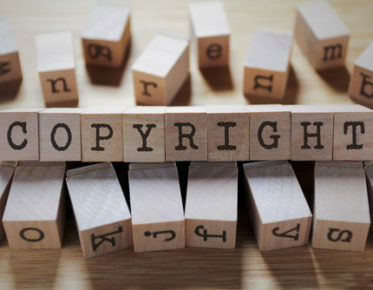 However, some elements of IP are protected by human rights as well – even if the core defies forced intellectual labor: for Yu (2007), there are thus conflicts between human rights and elements of IP which are not protected by human rights and conflicts internal to the human rights regime. However, with trademark in particular the holder may be a natural or legal person and trademarks are by definition business tools. On one hand, property right covers exclusive rights and goodwill (Rahmatian 2008): trademark related proprietary interests come within Article 1 of Protocol No. 1 to the ECHR (ECtHR Anheuser-Busch). For its part, Article 17(2) of the EU Charter (CFR) protects intellectual property. This provision, which contains no explicit limitation, has provoked questions in legal literature: does it guide balancing (cf. Geiger 2009)? Then again, the CJEU has noted that the wording or the Court’s case law do not suggest that the fundamental right linked to IP is inviolable and absolutely protected (Cf. Art. 52 CFR Promusicae, Scarlet, Netlog). On the other hand, as Rahmatian (2008) notes, free speech is “most likely to conflict” with trademarks. Firstly, the aspiring trademark holder faces restrictions when a mark is considered contrary to public order, policy, or morality. Secondly, conflicts might arise with regard use by a third party: use in the course of trade includes parasitic free-riding and comparison while use outside trade is often of artistic or political nature. Free speech or freedom of arts may serve as a justification for “infringement”. (Ibid.) The reform clarifies that comparative advertising contrary to Article 4 of MCA Directive (2006/114/EC) may be prohibited while the MPI Study and the recommendation promote express guarantees for parody, critique, and news reporting, among other referential use. The conflict between freedom of expression and trademark appears to be both reality and fiction. Indeed, trademark legislation is enacted in order to create exclusive rights. Apart from this, conflict seems minimal at the level of law in books. It is rather law in action which reveals that the limits are under constant re-construction: how is trademark law interpreted and applied (cf. Helfer – Austin 2011)? Even free speech recitals or articles in trademark law will not solve the problem of definition and challenges of the networked environment also persist. However, it could be more difficult to argue one-sided extension of trademark protection. 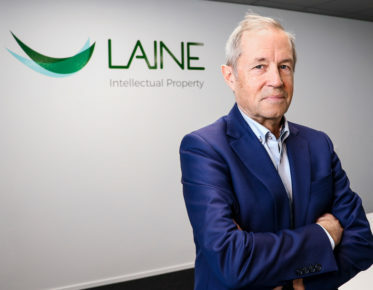 Inclusion of free speech concerns within trademark law alongside constitutional acts could also render human rights less “blunt” as tools when it comes to commercial law. For Rahmatian (2008), trademark law “should give effect to human rights in its specialist area” by incorporating free speech, by purposive interpretation, and by partial human rights enforcement. Indeed, Helfer (2003) notes that both systems define the scope of power: they are “essentially compatible”, but often disagree over “where to strike the balance”. The challenge is to bring together two regimes of internationally recognized rights where property right talk tends to lead to strengthened IP (Yu 2007) and balance talk to ignored power relations (Story 2012). In any case, alleviating tensions and redefining the relationship between trademark law and freedom of expression means negotiating multiple legitimate demands. Geiger, Christophe: Copyright’s fundamental rights dimensions at EU level. In Derclaye, Estelle (ed. ): Research Handbook on the Future of EU Copyright. Edward Elgar 2009, 27–48. Helfer, Laurence R.: Human Rights and Intellectual Property: Conflict or Coexistence? Minnesota Intellectual Property Review, Vol. 5, No. 1 (2003), 47-61: (Jan. 28, 2015). Helfer, Laurence R. – Austin, Graeme W.: Human rights and Intellectual Property. Mapping the Global Interface. Cambridge University Press 2011. Hernandez-Marti Perez, Cristina: The Possibility of IP Protection for Smell. European Intellectual Property Review, Vol. 36, Issue 10, 2014, 665-674. Pihlajarinne, Taina: Tunnusmerkin suoja verkkotunnuskäytössä. Edita 2009. Rahmatian, Andreas: Trade Marks and Human Rights. In Torremans, Paul L. C. (ed. ): Intellectual Property and Human Rights. 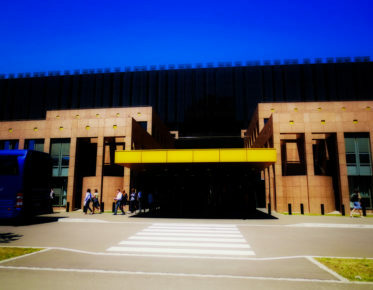 Kluwer Law International 2008, 419–448. Story, Alan: “Balanced” Copyright: Not a Magic Solving Word. European Intellectual Property Review, Vol. 34, Issue 8, 2012, 493–497. Weckström, Katja: The Societal Interests behind Trademark Protection: A Fundamental Rights Approach. In Saarnilehto, Ari (ed. ): Teollisoikeudellisia kirjoituksia VII. Turun yliopisto 2006, 145–183. Yu, Peter K.: Reconceptualizing Intellectual Property Interests in a Human Rights Framework. U. C. Davis Law Review, Vol. 40 (2007), 1039–1149.